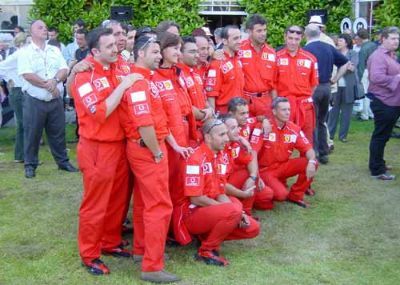 2002 saw the first appearance of the current Scuderia Ferrari Team, who were a great attraction, and must have had a fabulous day! 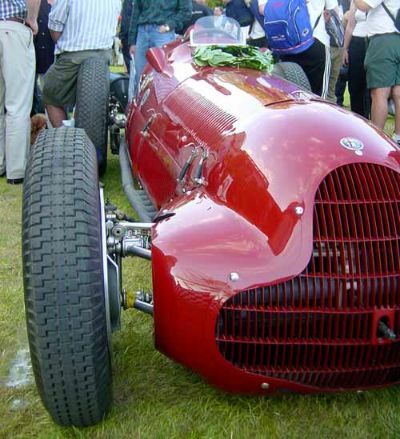 Alfa Romeo curves - another winner. 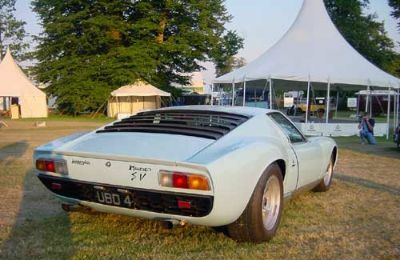 Lamborgini Miura in the paddock. Best time to look around the otherwise pretty crowded paddock areas is in the evening as everyone else is leaving. 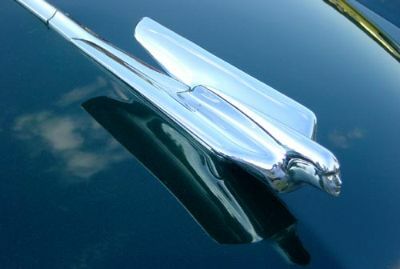 Sculptural detail on a bonnet adornment. 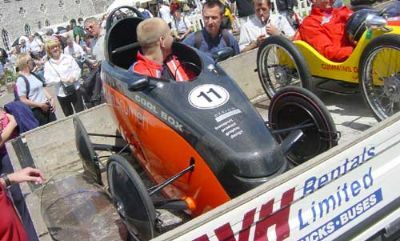 In 2002 we had an entry in the Soapbox Challenge, a downhill race held each year, with strict rules and regulations. Here our driver Nige gets some last minute tips. On the day Nige was beaten by David Brabham, driving Ford's entry. 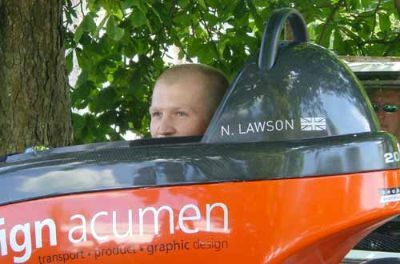 Race drivers and celebrities take part, and although taken very seriously, it is a light hearted event! 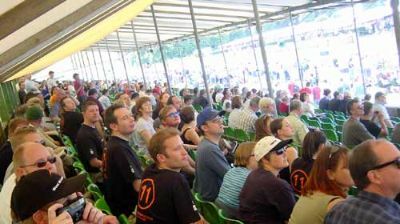 Eager fans in the stands await the arrival of the soapboxes round the sharp corner at the bottom of the steepest part of the hill. 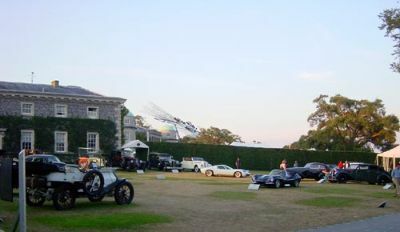 The Goodwood Estate looks out over toward Chichester and the South Coast - a stunning location.